Only six more days to Boston! All the work is done so it’s really a week of low mileage and REST. See how I put “rest” in bold and capitalized it? That means it’s pretty important! In the last week or two before a marathon, a lot of people fear they haven’t done enough, and they try to cram in more mileage and/or speed work to make up for it. At this point it’s too late. Trying to make up missed workouts will only keep you from recovering completely for the big race. 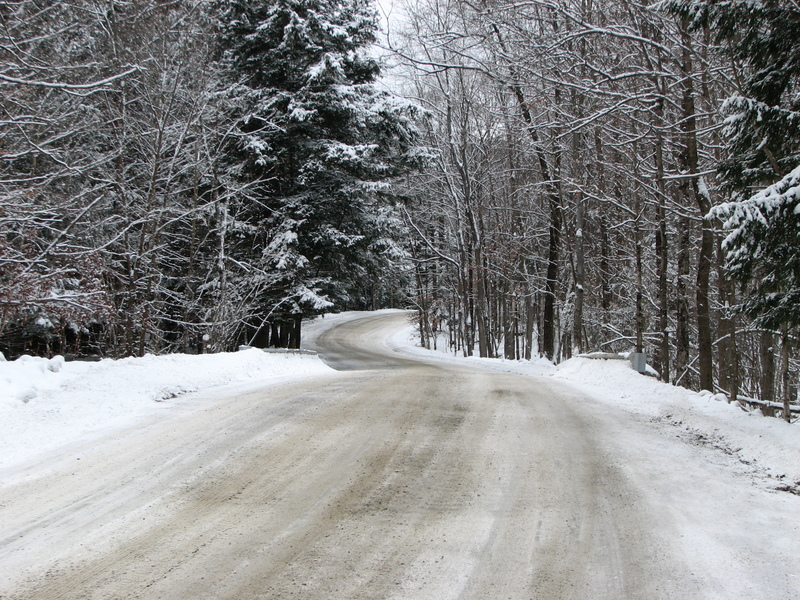 If you’ve done the work in the months leading up this point, have faith that the training will have made you stronger. The lower mileage in these last weeks will give your muscles a chance to recover and rebuild so they can handle the marathon. This is why listening to your body is important. If you need the extra rest, take it. That can mean more sleep, lower mileage or an additional day off. Over the weekend, my plan was to run 12 miles for my last long run. 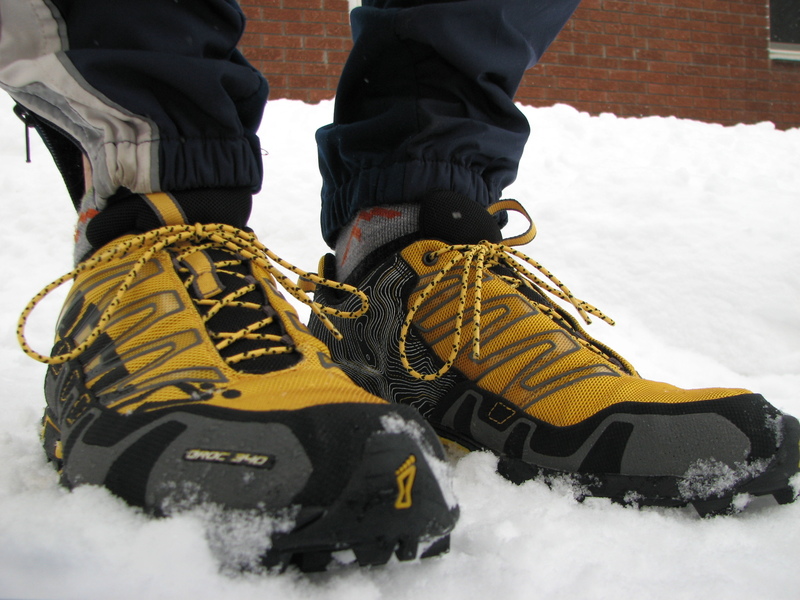 As I started out, my calves were a little tight and I was feeling fatigued overall. I didn’t really feel like running. When I feel like that, I usually give myself 15-20 minutes to warm up and then decide if I should cut the run short. I felt better after a while but I did decide to stop around 8 miles. This close to the marathon, I’d rather end a training run feeling like I could have done more. On Sunday I ran Heartbreak Hill one last time before it counts. I actually ran all but the first 4 miles of the Boston Marathon course and I wasn’t the only one out there. There had to be 100-200 other people running their last long run along the Boston course! As I was running up Heartbreak I was thinking about the history of the race and how it got its name. A lot of people think the name is given because it’s the longest, steepest hill (neither of which is true) – or that it’s at a point in the race where fatigue is taking its toll on the runners. While the later it definitely true, the real reason Heartbreak has its name is because of a man named Johnny Kelley. A two time Olympian, Johnny Kelley has run the Boston Marathon for 61 years. He has won the race two times (1935 & 1945) and come in second seven times. The year after his first victory he was favored to win again. That year, the race was led from the start by Ellison “Tarzan” Brown, until the hill section where Johnny caught him and passed him – briefly. It was at the top of the hill where Brown passed Kelley again and eventually went on to win. Boston Globe reporter, Jerry Nason who covered the marathon for 50 years saw the look in Kelley’s eye and knew Kelley was broken-hearted. The name stuck. 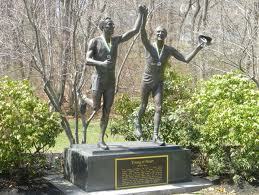 About a mile before Heartbreak is a bronze statue of Johnny Kelley, two of him actually, holding hands. On the left is a 27-year-old Johnny (when he first won Boston) holding hands with 84-year-old Johnny (when he ran his last Boston) as they cross the finish line together. 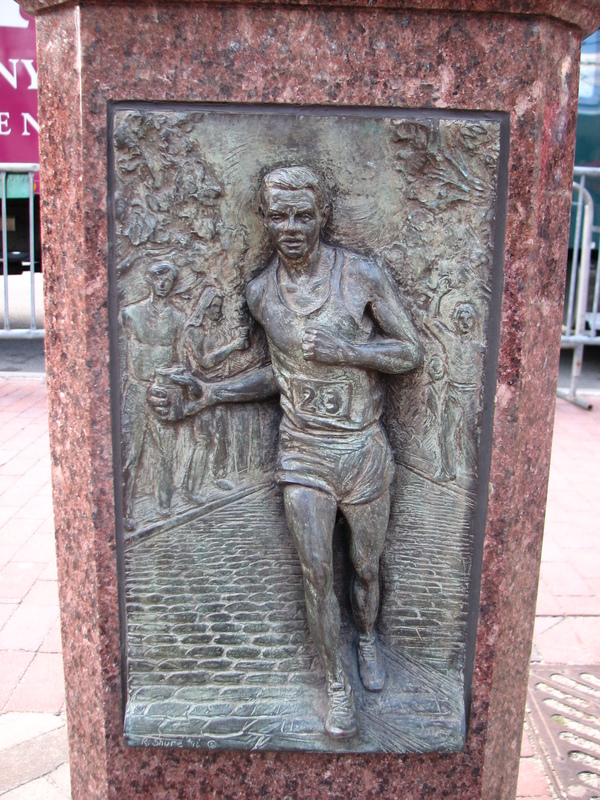 Don’t look for the statue along the course as you’re running the marathon. The large crowds obscure its view on race day. 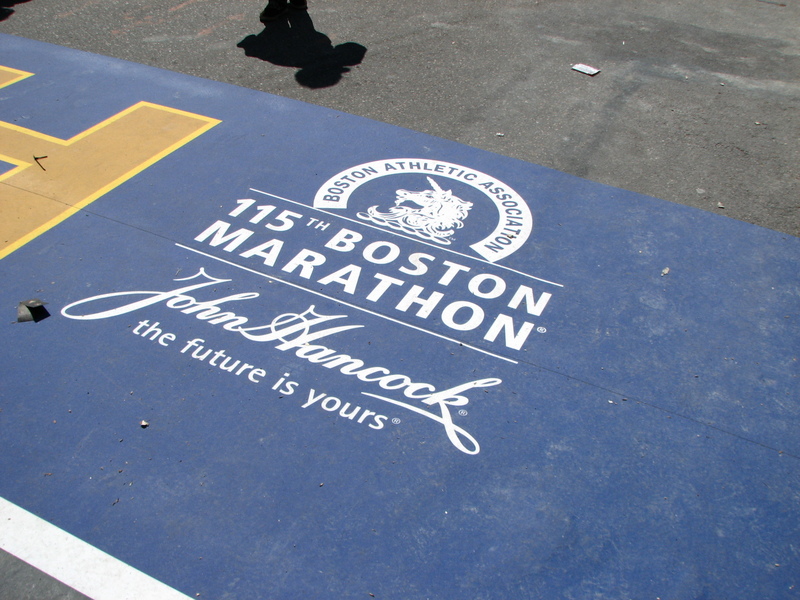 In his most recent years of running Boston, Johnny would run the last 7 miles of the course so he could have the recognition he deserved from the crowd. Before that, when he was still going the full distance, he would be given a 15 minute head start before the rest of the field. Johnny Kelley died in 2004 at the age of 97. 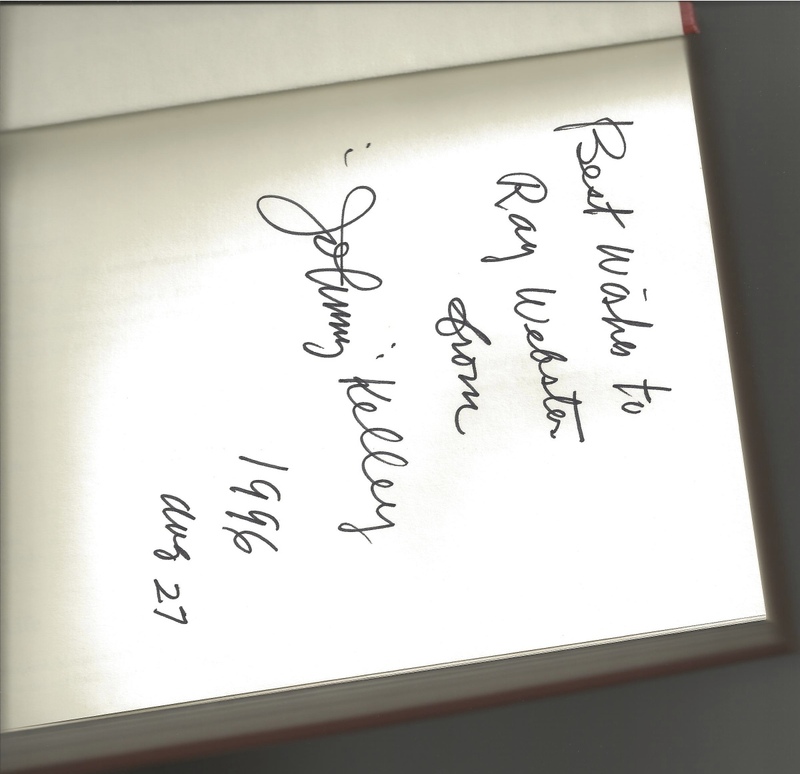 I had a very rare chance to meet Johnny Kelley at his home on Cape Cod, Massachusetts in 1996. It was an Olympic year and a local paper interviewed Johnny Kelley to tell the story of his Olympic days. The article ended by giving Johnny’s home address and saying that fans often stopped by to say hello. Not wasting a second, I dug out my map (no such thing as Google yet) and found where he lived. It was actually on my way from work, so I went and knocked on his door. I very clearly remember Johnny opening the inner door and from behind his screen door saying rather abruptly “wadda ya want?” I introduced myself and told him what I had read in the paper and I just wanted to shake his hand and meet him. He opened his door and invited me in. The whole interaction was kind of a whirlwind experience because as I would learn in about 5 minutes, his sister was on her way over to pick him up. He quickly stepped out to his garage and came back with a book- it was his biography. He said, “I’m sorry I don’t have anything else to give you. This book isn’t very heavy reading but you might find something interesting in it.” He signed and dated the book and asked me a few questions before his sister came in. Once she was there Johnny wished me luck and hurried me along. I can’t help to think that if my timing had been better I may have had a chance to talk to him a little more. But I still remember that day very clearly and consider myself extremely fortunate to have met him. This is my final week of high mileage before tapering for Boston. Today is a challenging workout of 15 miles with the last 7 miles alternating between my goal marathon pace (6:15) and half marathon pace (5:45). I remember doing this on a cold, windy day last year – I hated it. Today looks like it will be hot & breezy, that’s better. Today in Burlington the temperature is going to reach 80 (exactly when I plan on running), it’s usually in the 40’s this time of year. 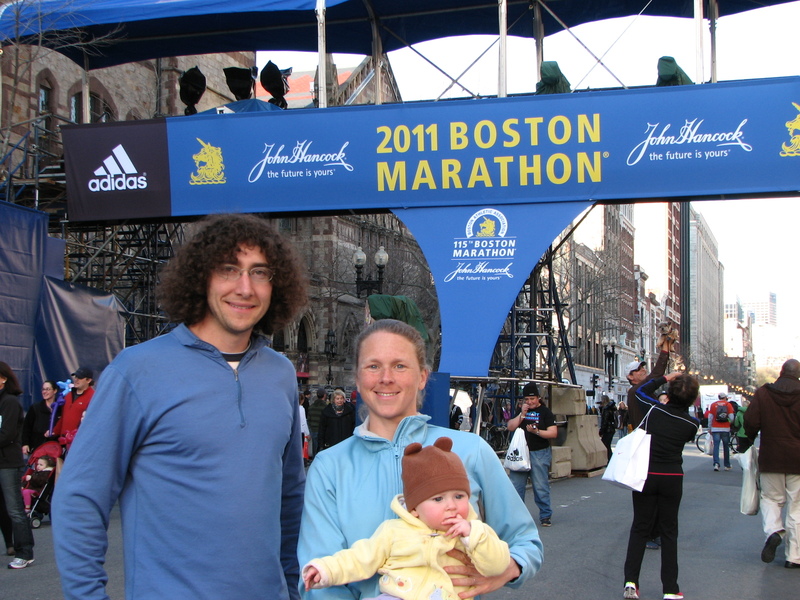 This weekend I’ll be heading down to Boston to run the marathon course, and I have a feeling I won’t be the only one out there running it. The way I see it, people come from all over the world to run Boston. Since I have the opportunity to train on the actual course, I might as well do it. I’m going to warm up for a few miles then do 3×5 miles at marathon pace with mile recovery in between. I’m not sure if I’ll do the whole course yet, I’ll see how I feel after the repeats. Fortunately, the final miles of the marathon follow the Green line so I’ll just hop on the train when i feel like stopping. 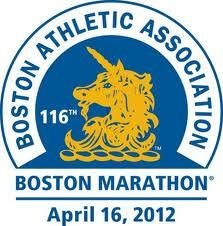 Thinking back to mid January when I started training for the Boston Marathon, April 18th seemed so far away. 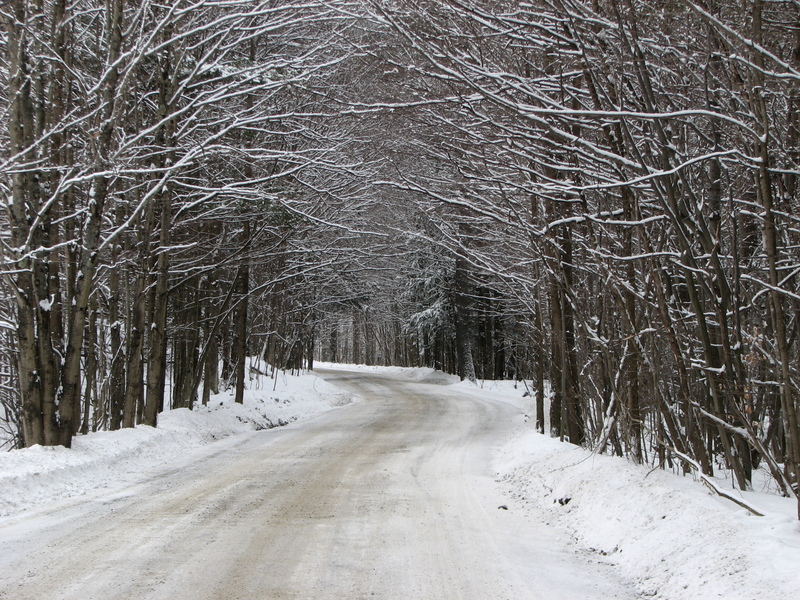 The days of logging miles through the snow, rain, mud, ice and wind slowly passed until Monday at 9:45 when I found myself standing at the starting line…technically I was 25 feet or so behind the line. They give the elite athletes a generous gap in front of us mere mortals. With about 5 minutes to go, they brought the best marathoners in the world out to the line. Ryan Hall came out last, receiving a huge roar from the crowd. This is one aspect of endurance sports that I really love. We often have the opportunity to stand on the start line with the best in the world and run with them. Sure, we’re left in their dust in the first half mile but we still run the same course on the same day in the same conditions (and conditions were exceptionally unique this year) and can compare our time against theirs. In New England it’s not uncommon to enter a X-C ski race that includes more than one former and/or current Olympic level skier. Last year at the Timberman triathlon which is a popular half Ironman distance triathlon in NH, Chrissie Wellington, the best woman triathlete ever was at the race. Not only was she first woman and 11th overall, she stuck around to hand out finisher medals to the rest of the competitors. In contrast, the local men’s YMCA basketball team will never get a chance to play the Celtics at a weekend tournament. *My shoes were tied tightly! The snap of the starter’s pistol not only signaled the runners to go, but the crowd to EXPLODE into a cheering frenzy. The first 30 seconds of the race were simply survival, there’s a lot of pushing as people try to establish position. But things settled down rather quickly and we were on our way. I had actually forgotten that I had my name on the front of my shirt until people started yelling it. 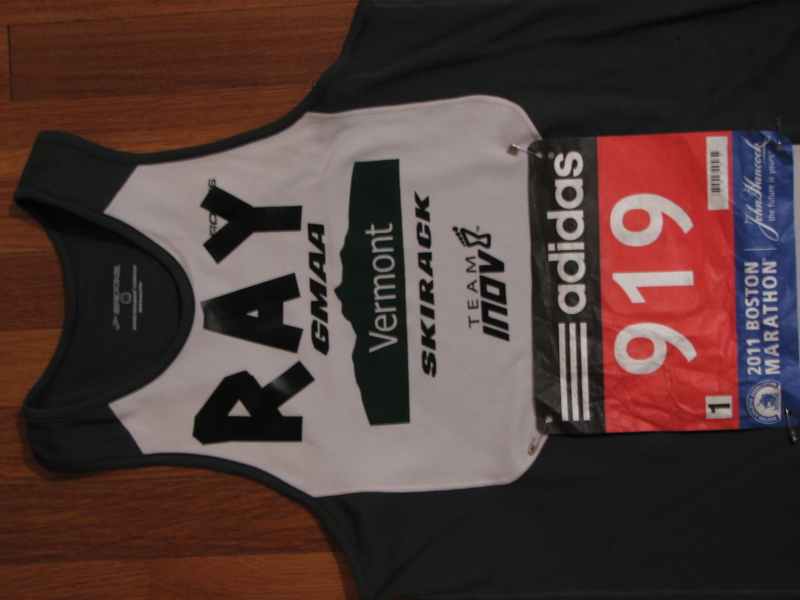 I’ve seen this done many times in other races but never had enough foresight to actually put my name on my shirt. It was definitely a really cool experience. At first I was waving back to the people who shouted my name, but after a while I couldn’t keep up with them and focus on running at the same time, so I just smiled and ran. I hit the 5K mark at 18:05, which was too fast for this race so I slowed down a bit. But I crossed the 10k mark at 36:05 which was the same pace, somehow I hadn’t slowed down. 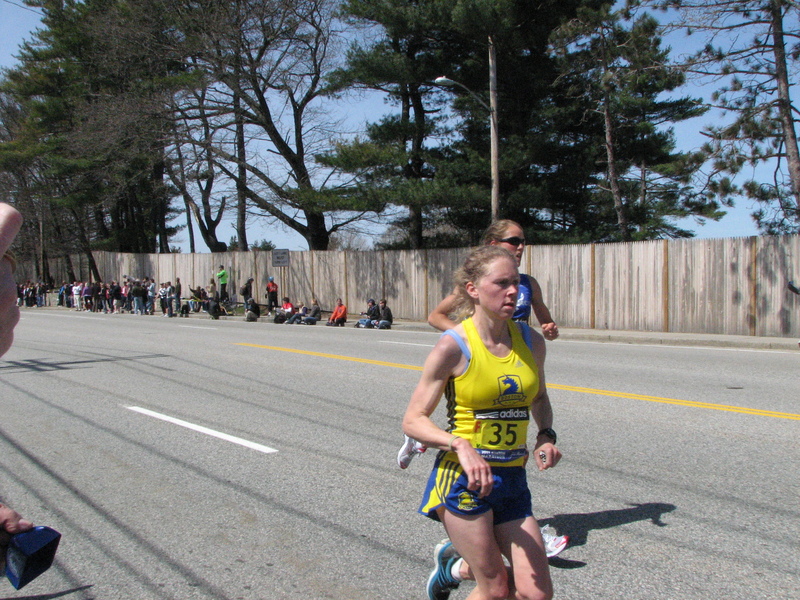 The down hills that are encountered early in the Boston Marathon are very deceiving. They’ll make you feel like a super hero while quietly overworking your quads, setting you up for a painful final 8 miles. At about mile 10 my quads started letting me know that I started out too fast. I hit the center of Wellesley, the half way point, at 1:17:20…uh-oh. This might have been fine if I started my training back in December. But due to my lack of training volume, a 5:50 pace for the first half was not going to help me have a good second half. At this point the field had spread out significantly. We were essentially running in single file with about 15 to 20 feet between us. Every once in a while a small pack would pass me or I’d pass them. But I never had the feeling that I started in a wave of 9,000 runners. The next 5 miles were more uncomfortable but I was still able to enjoy the race. At one point I became aware that no one had been yelling my name for a while. I looked down and saw that the letters were starting to fall off my shirt- no one could read my name. (Note: electrical tape works in a pinch but will not endure a marathon.) I pressed the letters back down and people were instantly cheering for me again- at this point in the race I really needed the encouragement. Mile 16 is where the up hills start to become more numerous which actually felt good on my legs. 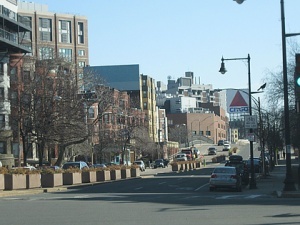 But for every uphill in Boston there is an equal or larger downhill. As I was heading down a hill somewhere between mile 18 and 19, I had a sudden sharp pain in my left hip that quickly reduced me to a walk. I walked for about 20 seconds and drank from my fuel belt trying to assess what was going on. I took a few deep breaths and got right back into my pace without the pain. I think that as my muscles were fatiguing and my form deteriorated, I was running with excessive movement in my hips which eventually led to the sharp pain. I discovered that running faster than my muscles wanted to go was less painful. So I pushed the pace until the fatigue set in and the sharp pain came back, which happened about 3 more times. Finally, the big Citgo sign off in the distance! This meant I was at the 40k mark and entering the last mile and a half of the race. This is when I said to myself “just run, go”, no walking until I crossed the finish line. When I finally made the left turn onto Boylston St. I could see the large banner over the finish line but I still had 4/10 of a mile to go. I felt like I was running on a treadmill toward the line…it seemed so far away. I crossed the line at 2:50:28 and all I wanted to do was sit down on the ground, even a controlled fall would have been ok with me at this point. But the fear of creating a scene kept me on my feet and moving forward. Kasie on her way to the trials! Kasie crossed the line at 2:39:55, this qualifies her for the Olympic trials in January. 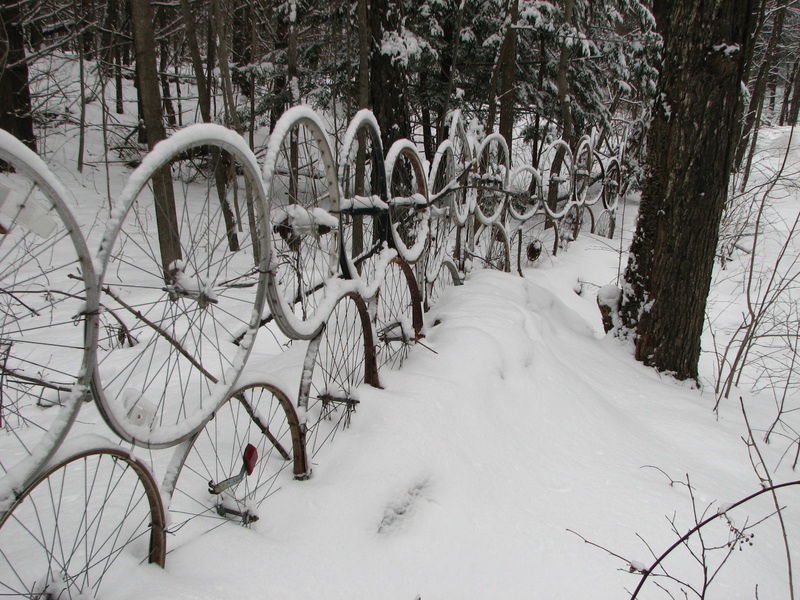 She was also the first Vermonter. Nice job Kasie! Today was a relaxing day. I went back to the finish/expo area to take in a few more symposium talks and just enjoy the energy of the crowd which had been building as the day progressed. I met Kasie and Eli and just strolled around town for a while enjoying the weather and hoping the light west wind will be there for the race tomorrow. Pre race dinner- pizza! Tomorrow the race starts at 10am but due to the logistics of this race, my day will be starting at about 4:45 am. I have to be at the bus at 6am for the ride to the start. So far the weather is looking perfect for the marathon! Sunny and mid 50’s for the late morning.